Historically Cofidis, Solutions Crédits has had a decidedly deep roster, with many riders and above the average of the rest of the Professional. This year the French, however, have even expanded the rose compared to the usual, deciding to bring to twenty-eight the number of athletes available. Thus completing the roster is an Eritrean runner, but not Daniel Teklehaymanot, present in 2018 but left without renewal. 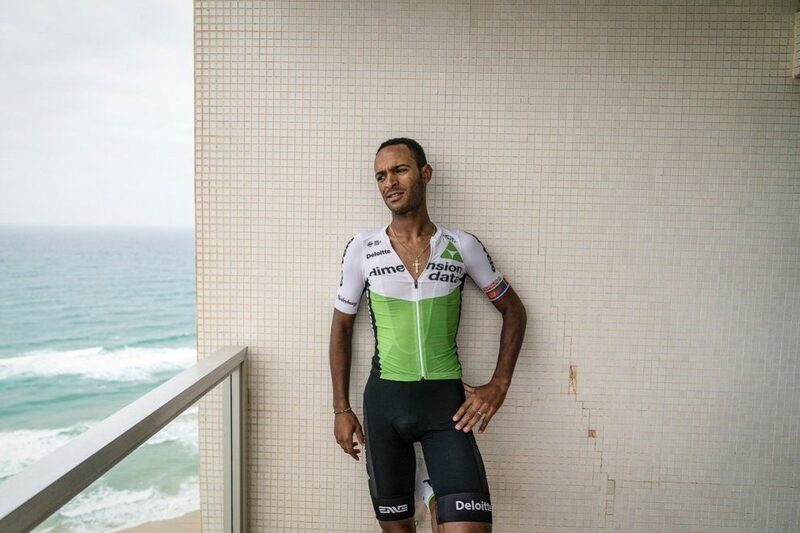 The new engagement responds to the name of Natnael Berhane , back from a long experience with the Dimension Data Team. The twenty-seven, with five great laps behind him, will be one of the landmarks in stage races for the Nordic team. 27-year-old Natnael Berhane has signed a one-year contract with Cofidis. Jesper Hansen gets a new teammate and potential competitor at the Cofidis crew next season. The Danish mountain rider's future employer has signed with Eritrean Natnael Berhane, who among other things has his forces in the same terrain. The 27-year-old Africans come from the WorldTour Team Dimension Data team on a one-year contract. "As part of the preparations for next season, I would like to enhance the quality of the squad, so I've been looking for World Tour riders," says Cédric Vasseur, manager of Cofidis. Natnael Berhane also welcomes the contract with the French procontinental team, despite the fact that he is on the second highest shelf, relatively fixed fixtures in the Tour de France and Vuelta a España. "Cofidis has been on my radar and I did not hesitate to sign the contract. The team has been performing well throughout the season and ended very strongly and remarkably in the Vuelta, says Natnael Berhane. His biggest result is the overall victory in the mountainous stage tour of Turkey, which he won in 2013. Jesper Hansen was collected in the same race last year. On the other hand, Jesper Hansen, who signed a contract with the continental team earlier this year, should not fight the place with Daniel Teklehaimanot. The 29 mountain riders, who are also from Eritrea, are not allowed to extend their contract with Cofidis, announcing the team in the same ambush. 28-year-old Jesper Hansen has a contract with Cofidis until 2020. Berhane has until the end of 2019.